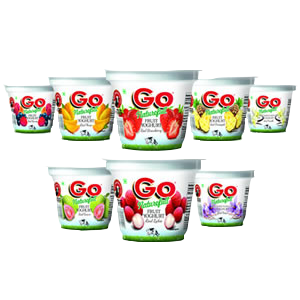 Go Yoghurt is made from pure cow’s milk & active culture. It has 2.7 % fat in it . It contains 10% Fruit which makes it rich and natural in taste. Comes in amazing 8 flavours : Strawberry, Mango, Pineapple, Mixed Berry, Lychee, Guava, Vanilla & Kesar.